I’ve held off mentioning Christmas as long as I could but now it’s officially the first day of autumn and Christmas puds are already on Sainsbury’s shelves, it is time to start thinking about the festive season. 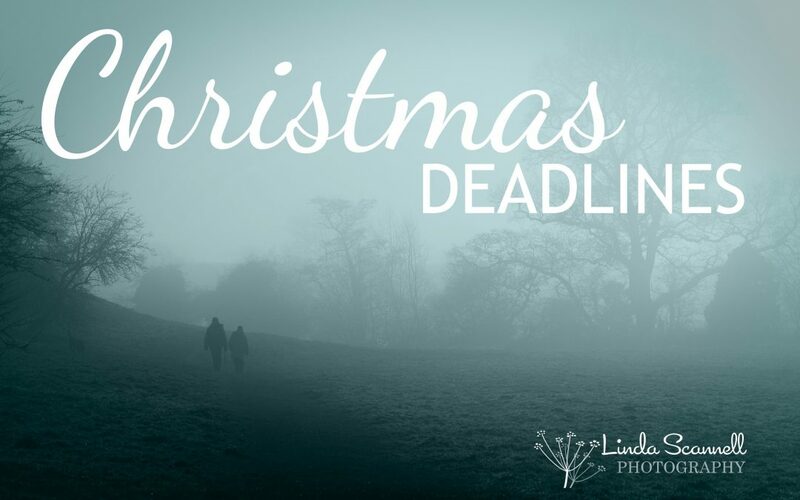 There are only 96 sleeps till Christmas if you’re reading this on 20 September, so to treat your nearest and dearest to some photo gifts, here’s when you need to get your order in and paid for. All your finished items are custom designed and checked by me, then handmade by my suppliers and checked again before they get sent to you, which is why we don’t have turnaround times quite so fast as Amazon! Christmas is the only time of year I truly get to have a complete break from the business so we’ll be closed from 5pm on Friday 21 December 2018 and back in the office on Monday 7 January 2019. Have fun planning your Christmas and if you need any advice or ideas on what gifts to get with your photos, get in touch.